Sorcery is a new turn-based role playing adventure game based on Wizards of the Coast, Inc. d20 system and D&D rule sets. With a powerful interactive storyline, you make the decisions that control the adventure--unfolding the mystery--while solving the puzzles of the Orb of Power. Requires 6MB or 19MB memory and an Xscale processor and Windows Mobile v2002 or less. SlovoEd is a series of top-quality monolingual and bilingual dictionaries for S60 devices. There are over 120 dictionaries available for 29 languages. It is an excellent solution for professional linguists, translators and typical users. Work, study and travel with SlovoEd Compact English-Portuguese-English dictionary in your pocket from Ula. Contains 73724 entries. - NEW!!! Virtual Keyboard allows to enter words in any language of SlovoEd dictionary even if your phone doesn't support it. - NEW!!! Flash Card Quiz enables you to add new words to flash cards and test your knowledge as many times as you wish. The program analyses the statistics of your answers and decide what words you have learned. (The more often you get the right answer, the more rarely you will be asked to translate this word. BOULDER DASH®-SMARTPHONE EXTREME™ - is part of the Boulder Dash®-Extreme™ series, the first official Boulder Dash® sequels ever developed for PDAs and SMARTPHONES. 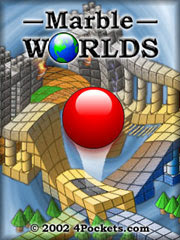 Learn from the 20 Tutorial levels and play all 100 game levels, spread across 5 different worlds. Something is amiss on the outskirts of Freeport. More undead than usual are wandering through the Common Lands. There are rumors of a powerful Necromancer raising an army of skeletons and zombies to threaten the city. Can you save the city from this looming peril? 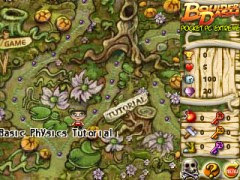 Try EverQuest for the Pocket PC! This is a limited demo that allows you to complete the first of a long series of quests. Try out each of the four classes to see which will suit you best in the full version. GameBox Sudoku is our fantastic, high quality Sudoku Puzzle game including Three different board layouts and Three levels of difficulty. Superb graphics, high-quality music and sound effects, and fantastic playability make this a excellent addition to your game collection and to the GameBox series. 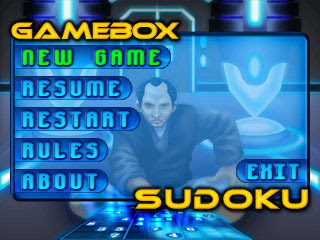 GameBox Sudoku is designed to be the most intuitive Sudoku, easy for anyone to be able to pickup and play. While maintaining a difficulty level that can challenge even the veteran Sudoku players out there. And of course, as a GameBox it strives to be the best looking, best sounding, best overall Sudoku experience on the market. LingvoSoft Talking Dictionary 2006 Free English<->Italian for Pocket PC provides bidirectional word translation and English and Italian speech synthesis - with a compact and concise database of words and phrases. Featuring 12,000 entries, this is a simple and efficient application, which will provide you with answers to most of your translation questions and immediate practical help when faced with a communication challenge requiring an instant response. Able to pronounce words in English and Italian, the innovative Text-to-Speech feature is built on advanced human voice modeling. Now you no longer need to speak out transcriptions - simply select a word and with a touch of the screen, have your device pronounce it for you. The scum of the earth has taken to the stars... and the Fugitive Retrieval Agency has selected you to bring it back home and face justice. 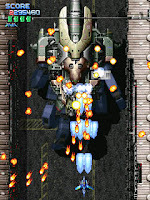 Bounty Hunter 2099 is an exciting, fast-paced, futuristic pinball game for your Pocket PC. Steer the ball to obtain the more lucrative contracts, blast off to Hideout Majoris and make your capture! The Definitive Poker Game for Mobiles and Smartphones. Winner of the most significant industry awards, including Handango's Game of the Year (2006) and Smartphone & Pocket PC Magazine's Best Poker Game for two years running! Play Texas Hold'em anytime, anywhere. Challenge unique offline AI opponents and start a Poker career. Then login online and join the real-time action. Thousands of live players from around the world using BlackBerry, Palm, Windows Mobile, Symbian, Java phones and PC. Ring games, daily tournaments and massive multi-table events. Stunning 3D 10-player tables, in-game chat and a free comprehensive strategy guide for all levels. This mobile poker game is in a league of its own. - Endless game play, maze generation is unique each time and has infinite possibilities. 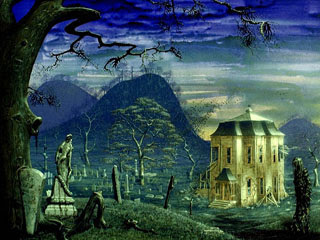 - Exotic music, mystical design, and rich graphics build a thrilling atmosphere. - Fast paced action on progressively challenging levels. - At an efficient 700 kb, this tiny powerhouse is jam packed with a mountain of fun. different lanes and funny animations. The game area consists of a great number of provinces. At the beginning, you control some of these provinces. Every province gives some resources (gold, metal and stone) in your treasury. You can spend collected resources on recruiting new troops and capture new territories with their help. You can use your special forces for scouting, robbing and assassinating your enemies. Enter the digits 1 to 9 in the grid without repeating in rows, columns, or boxes. Grid transformations, new picture SuDoku and a rating system to name but a few features of the game. Other top features include solving, 6 different levels of difficulty and over one million built in SuDokus. Over 100 SuDoku addicts were involved in SuDoku's design so you can be sure it plays the way you do. Book a week off work now and give the trial a try. Version 2 supports square devices and makes user interface may include unspecified updates, enhancements, and bug fixes. - Over One Million Built In Genuine SuDoku Puzzles !. If you need more let us know! - Many Unique Mastersoft Features including Picture Sudoku and Grid Transform. - SuDoku Solver - Solve any SuDoku puzzle in less than 3 seconds ! - Create, Solve and Analyze SuDokus. - Work your way up from Beginner to SuDoku Master ! - Enter a SuDoku from a newspaper then either solve or play (using inbuilt hints if required). Mastersoft SuDoku tells you where you're going wrong even if it isn't an inbuilt SuDoku ! - A Quality Title Endorsed by the HP iPAQ Choice Promotion. - Another Original Mastersoft Title. - Cool scoring system. Can you become a SuDoku Master? Using hints will of course reduce your score and you'll need a certain number of points to reach the higher levels and unlock Picture SuDoku ! - Can be installed to a memory card. - Unique number entry system. - Enter your working out. - Choose from a full pallette to color code your entries. - Various types of hint. - "SuDoku Master" levels that are more difficult than the hardest SuDokus found in newspapers. 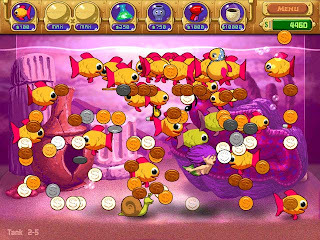 - Unique gameplay with increasing difficulty. - Designed with the help of over 200 SuDoku Players. You think it we'll make it ! - Lots of options such as turning sound off, hiding timer and score etc. to aid concentration. -Any Windows Mobile Pocket PC. LingvoSoft Travel Dictionary 2006 Multilingual ML-11 for Pocket PC gives you an exciting opportunity to translate from one to any of these languages: English, Czech, Finnish, French, German, Italian, Polish, Russian, Spanish, Turkish, and Portuguese but has additional full integration with LingvoSoft FlashCards and Phrasebook* applications! Additionally, you can search for a word across all languages and the result will report the foreign language origin. If you are a mobile professional, have to communicate with foreigners and need help translating, our new multilingual dictionary will be your perfect travel companion. With the latest additions, this application presents superior high-resolution (640x480) VGA support for WM 2003 SE. The screen rotation support allows for effortless reading and navigating. Ten virtual keyboards are built-in, one for each language, allowing more convenient character input; they also have VGA support and screen rotation. 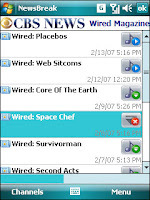 10 virtual keyboards are built-in running on Pocket PC 2002, 2003 and Windows Mobile Second Edition. No more trouble with character input. Also support screen rotation and VGA. German interface added - toggle easily between English and German. Improved Help and User Manual. Word search conducted across all languages! Found word will also indicate its foreign language origin. Quick switch between 11 languages. You can easily switch between the languages using a special Control tool. Translation from one to any of eleven supported languages. Word Grabber function. It allows you to pick the text fragment and copy it to the dictionary. The word import is made by means of the Grabbing Tool which appears on the screen when the dictionary is minimized. Overview of all the dictionary entries in the Main List. Quick search function: just start typing a word in the Input Line and words beginning with these letter combinations will appear on the screen. 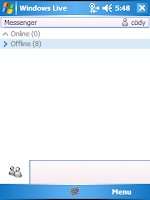 Search function for any string of characters as entered. Quick back translation for proof of correct understanding. 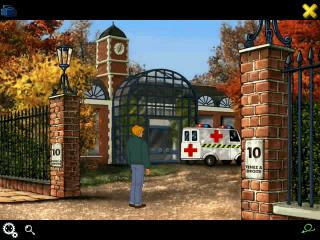 Originally created for PC and PlayStation®, and now available for PalmOS® and Windows Mobile® handhelds, Broken Sword is the story of George Stobbart, an American tourist on vacation in Europe, who becomes embroiled in a terrifying conspiracy when he witnesses the theft of an ancient manuscript and the assassination of its owner. The manuscript, created in the 14th century by the order of the Knights Templar, points to where their legendary power has been hidden for over six hundred years. Befriending a photojournalist, Nico Collard, the two find themselves on a global trail that ultimately reveals a deadly secret that will change their lives forever. - Can you solve the mystery of the Broken Sword? Bounce Out bounces back in this massive update to the classic original. Based on the enhanced Super Bounce Out from Gamehouse, the new PDA version will put the bounce back in your step! - All new sound effects! - Music powered by the Aurora Audio Engine for compatible devices! 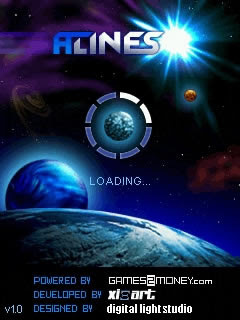 - Frantic and Addictive Gameplay! 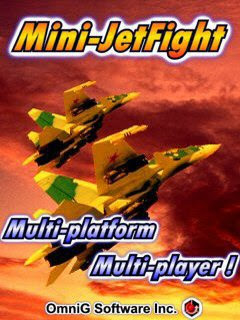 For the first time, the definitive Mah-Jongg has come to the Pocket PC. Shanghai Pocket Essentials is a modern, solitaire version of the same named ancient oriental game, based on Activision's Shanghai Mah-Jongg series. Now LandWare has brought the graphics and play options to the handheld platform. 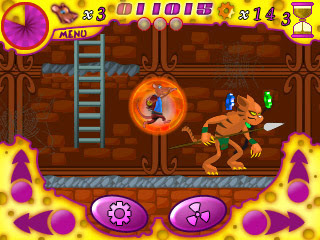 Built on a custom engine using standard Activision graphics and layouts, the handheld version brings desktop game performance to your handheld. You can even create your own layouts, up to five levels deep, right on your handheld and share them with your friends. Amazing 3D top-down racer. Leave a trail of destruction behind as you blast ahead of the competition. 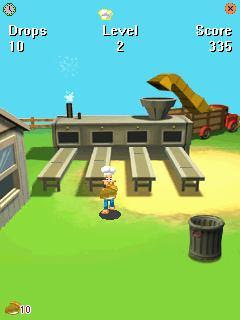 One of the most awaited mobile games of 2006! Amazing 3D top-down racer where your car is equipped with mines, rockets and have several kinds of useful upgrades available. Leave a trail of destruction behind as you blast ahead of the competition. Make your opponents spin and crash as you bombard them with a barrage of weapons. Take them out of the race with rockets and mines. Win races and prize money so you can progress to the next level of competition for more fire action. LingvoSoft Dictionary Free ? is a free talking dictionary with a 19.000 word database for you and your friends. The functional aspects of the Free Dictionary are completely the same as those of the commercial versions. 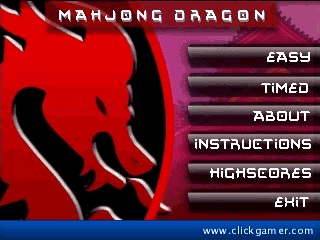 Play Mahjong Dragon now - a cool handheld version of the classic game - once you start, its very hard to stop playing! Brick bashing for a new generation! Based on the classic PC game, Ricochet brings together problem solving and fast action as you frantically bounce your Ion Sphere off your ships shield and try to get it to destroy all of the blocks on screen. Discover bricks that move, explode, transform and even push other bricks away in your quest to complete the game. 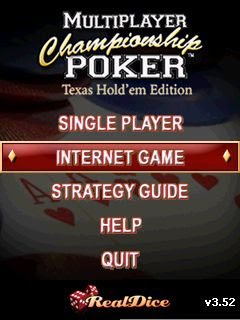 "This is the best No Limit Texas Hold'Em game on the market for PPC, handhelds, period. The aspect that gives this program the edge is the customization and ease of play. You can change almost every setting to your hearts desire, from the increasing blinds to the starting chip counts to the degree of difficulty each person poses at the table. Also, the play is so smooth that you might actually think you were in Vegas with Doyle Brunson and Phil Hellmuth, playing Hold'em. If you want the best for your Palm OS device, Aces Texas Hold'em is the way to be." - Play up to 22 Hold'em opponents at a time. - Play 1 of 4 game speeds. 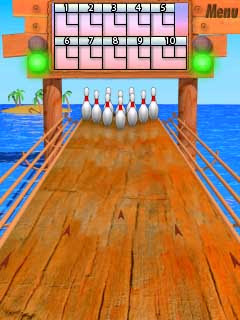 - Display 3 opponents at a time (4 in landscape) with the ability to scroll for more players. - Call out your opponents on "All-in" bets, or bet any amount! - Great sound with on/off option. - Shortcuts 1 - call/check, 2 - bet/raise, 3 - all in, and 0 - fold. - The best AI to play and practice against. - Statistics of hands played, hands won, folds, raises, tournament wins, etc. - Use your favorite poker nickname and face. - Start blinds at 1 of 13 amounts and 1 of 10 time increments. - Tons of additional options. - Free updates for registered costumers 8.Trial version is free to download. Newest ROM to come from jasjamming, and probably the last one, it's WM Black Satin. It's a ROM replacement for the HTC Hermes/TyTN. 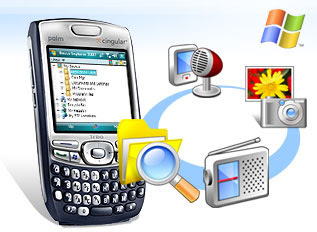 The ROM is based on Windows Mobile 6 Professional with the HTC "Touch" look. 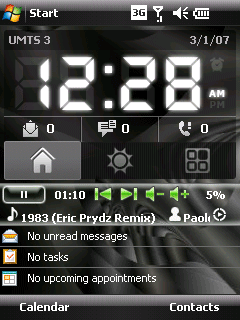 It's still the fastest ROM I know and use for the HTC TyTN. For the newbies, please read about ROM upgrading before you even try. Kudos to ROM cookers, specially JasJamming for cooking the fastest ROM for the Hermes! Please note that this ROM does not include a 3G Video Dialer. It includes the new 2G Dialer from the HTC Touch. For Screen Shots, please check the Black Magic Post as it looks the same, with very minor differences. I also cannot find a screenshot on the web at this point in time. Will try to update soon. You need to range planets and rockets to compose vertical, horizontal or diagonal lines of at least four similar objects so they could be destroyed. The longer line you compose, the more points you will get for it. To move a planet, just click on it and then point its new destination. Planets can move only in horizontal or vertical directions, not diagonal ones. Additionally, if you compose a line of five items or more, you will get a colored bonus brick at the bottom of the screen. Selecting this brick you will remove all planets of the same color from the screen. But if you use one brick, you will lose all bricks you have received before. One shift of a planet is one game move. 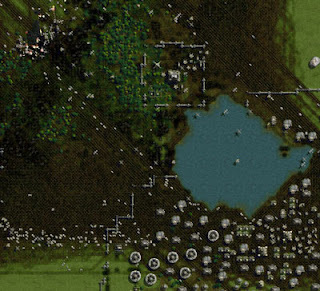 At each next move, the computer will place three new planets on your field. But having composed a line, you will get one bonus move to be ahead of the computer. But the zest of this game is the mission bar right below the game field. It shows you the color sequence you have to follow to destroy the planets. If you have managed to match the first mission item, you get your score doubled, the second one - tripled, and so on. After completion of each mission, you get a rocket. Rockets are targets for you as well as planets, but they provide you with additional 1000 points per line. Remember that ignoring an assigned mission for a long time will put you in trouble - planets will appear more faster and in the most unexpected places. It is Thanksgiving time again. All of your friends and family have decided they are coming to the farm for dinner. You and your trusty dog Scout have to prepare the meal in a hurry. Fortunately you have a plan and some handy gadgets that will help you save the day. Shoot the turkeys, harvest the fruits and vegetables and serve the feast! Spb Pocket Plus is the most powerful Today plug-in with tabs. The close button really closes out of running programs, the file explorer contains ZIP file support, and new buttons allow users to assign hard keys to additional commands. Advanced Internet Explorer buttons are installed, including new window support and a view source feature. Spb Pocket Plus also adds a safe mode feature to your device to restart safely if the device is experiencing problems. This game will take you to deep tombs of the Valley of the Kings. 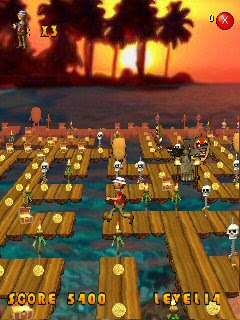 You will need to negotiate 140 death traps and hidden doors filled levels, fighting off mummy guards. If you want to get to treasures, you will have to use your head and outsmart mummies, bypass all death traps and stay alive. Beautiful graphics, well drawn character animation, enchanting soundtrack, addictive gameplay and unique gameplay won''t let you quit the game for many hours to come. 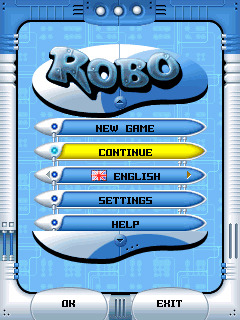 Robo is the great puzzle which contains over seventy diverse levels, brain twisting tasks and plenty graphics. Let's help two loving cybernetic hearts to find each other! The love makes people to commit imprudences, follies and different stupid things. Will anybody in his right mind risk his health and life, get under the rays of laser guns, break legs in the stone conglomerations, carry dreadful bombs and wander in fatal mazes? Love is a virus; and there are no walls which can stop it. Even robots can't resist it. You are able to become a participant of this unusual love-story. Try to add some logic and consistency in this bustle of the hot cybernetic passion, overcome together with Robo all thinkable obstacles walking through snow storms, scotched deserts and cold mountains. It is known that only humans intellect could rescue machines that going mad. Rats!! is our brand new Run N' Jump, Collect the Pickups, and Kill the Baddies Game* for Windows Mobile devices! Rats!! features all of the above plus wonderful cartoon graphics, amazing audio, innovative controls and a hilarious story all painstakingly tailored for the best possible experience on a Windows Mobile device. In this classic swithcing-place puzzle you assume the role as one of Santa's elves. Your job is to make sure all the presents are nicely wrapped. You do this by switching adjecent presents, arranging 3, 4, or 5 presents of the same kind in a horizontal or vertical row. You are working on time, so better hurry. Everytime you wrap some presents, you get a bit more time. Once you have wrapped a 100% load, the time is reset and you can proceed to the next level. In case you get stuck, or just want to score some extra points, you can use magic (after all, this is Santa's workshop) to wrap a single present. You do this by double-clicking the present. When you wrap more than 3 presents at a time, you will receive additional magic. Wrap as many presents as possible, before the inevitable game over where Santa takes off. 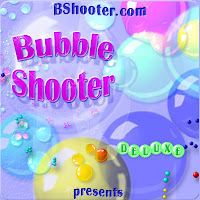 Bubble Shooter is compatible with COLOR devices working under Windows CE operating system version 3.0 or later, and PocketPC devices. Versions for Windows PC and Palm OS handhelds are available at Absolutist.com web site. "Your goal is to clear all the bubbles from the board, scoring as many points as possible. You shoot at them with more bubbles, and when three or more of the same color come together, they all explode. Point your stylus to the place on the field where you want the next bubble to go. The more bubbles blow up at one shot, the increasingly more points you gain (six ones at one shot is better than two three-bubble shots). This update features minor enhancements and bug fixes. Note: It supports only with some Pocket Mobile only. 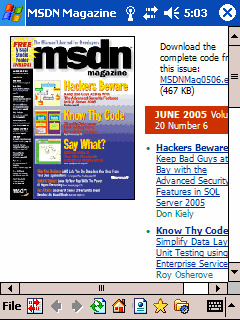 It is a cool programme for downloading mail from hotmail to view in you phone. "With it, you’ll be able to talk to other Messenger people whether they’re using a mobile device or a PC, you’ll be able to send and recieve nudges, instant messages as well as emoticons. The speeds between the PC and the Live Mobile Client are pretty fast - with about a second or two waiting times. You’ll be able to transfer files from and to your mobile device, including recording a voice clip using your device microphone and send pictures with your device camera. If what you crave for is a non-stop combat, then look no further than Brutal Wars. 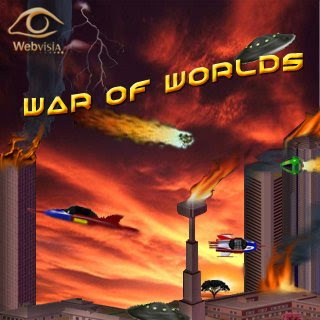 This is a turn-based strategy war game for all owners of Pocket PC and desktop PC as well. You step into the boots of a brave general, who is challenged to protect the country from the onslaught of the brutal enemy. So, have courage and hone your strategic skills you were taught in the Academy on the battlefield. The country desperately awaits your return, general and hopes for a victory. Brutal Wars has a simplistic game play that becomes addictive in a short while. You will discover 40 different military units, diverse battlefield maps, and three play modes, including a campaign game, a single player game and a multiplayer game. Thelatter allows you to engage into combats with up to four other players. This adds excitement to the game play as you play with real people. However computer opponents may be as tough as real ones, if not more. 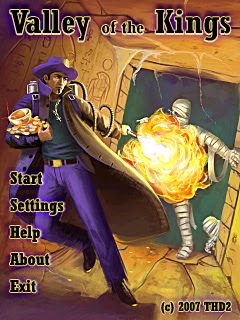 The game allows you to save your current game and transfer it to your desktop PC, or back to Pocket PC. This means you can start playing at home, save the campaign, and then continue on your pocket computer when you are on the move. The game has a silky smooth control, normal and fast speed, music and sound volume, plus resolution control, all of which are configurable. -5 difficulty settings from very easy to very hard. Get ready to ogle and be boggled! 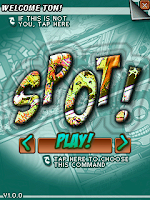 Now you can test your eye for detail with SPOT!, a crazily fun puzzle game that can leave you wanting for more! SPOT! takes your usual "spot the difference" game to a new level. Select from three different game modes. The game supports multiple downloadable Spotpacks and changing SPOT!s each game. With the latest additions, this application's user interface presents superior hi-resolution (640x480) VGA support. Among other improvements are VGA support for the keyboard and the dictionary itself, and screen rotation for more effortless reading and navigating. Newsbreak is one of the most heavily used applications on my device (as you can see from the Today screen plug-in). RSS feeds are the predominant method I use to stay current on just about everything. I was delighted to learn that Marc Tassin and the gang at Ilium were working on an updated version to this already great application. The highlight of Version 2.0 is podcast support, but they've also added Microsoft Live Search integration, improved one-handed operation and some new eye candy (icons and such). More detail about those features in a moment. HeroCraft HiTech in cooperation with HeroCraft releases ''Arcade for Adults'' for PDAs and Smartphones. ''Arcade for Adults'' is a 3 in 1 game pack with legendary arcade games and lots of beautiful women! Happy Valentine's day! I love everyone come to my website. Wish all of you good. 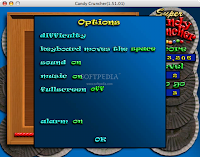 The object of Candy Cruncher is to line up and remove complete rows or columns of candy. Each level requires you to remove a certain number of rows or columns before time expires. Clicking on a candy adjacent to the blank space will swap the blank space and candy. The only exception is the Dreaded Black Jellybean, which cannot be moved. You can also use the arrow keys on your keyboard to move the blank space. This action puzzle adventure will have you buy fish, upgrade your weapons, and unlock secret pets as you explore this captivating underwater world. Spectacular 3D graphics, rousing sound effects, an original score, and ruthless alien beasts make this a can't-miss game!